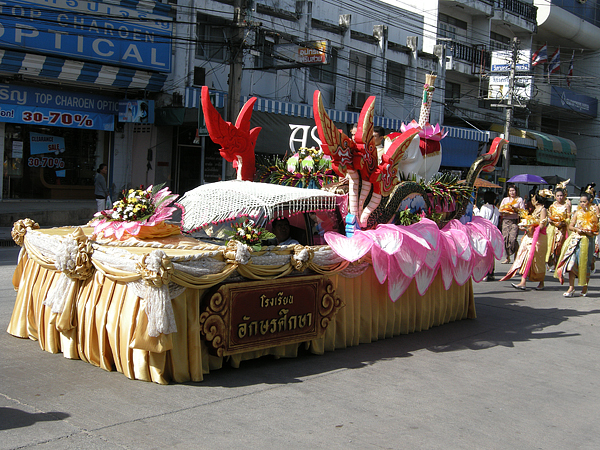 Prior to the Thai National Holiday period of 17th and 18th July to celebrate Asarnha Bucha Day and Khao Pansa Day, a parade was held through the streets of Pattaya on the 16th July. 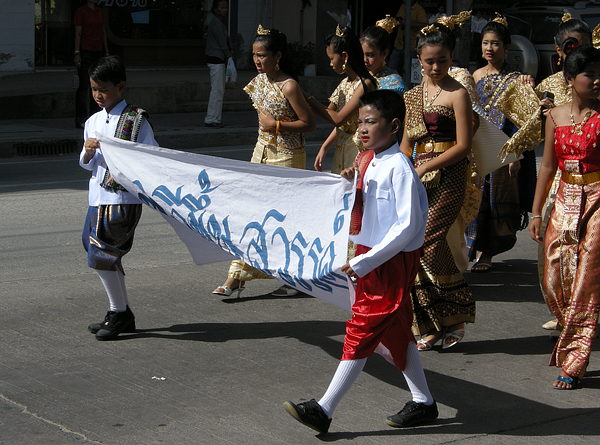 The colourful floats and dancers paraded along the streets and ended up at Naklua Park, where most of the celebrations will take place over the holiday period. 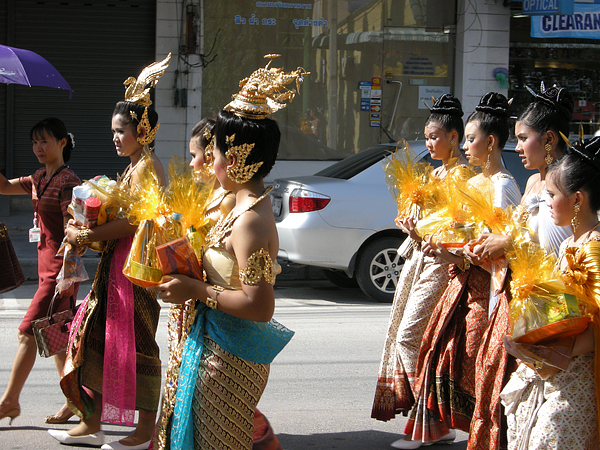 Thursday 17th July was Asarnha Buscha Day here in Thailand which celebrates Buddha’s first sermon to his initial five disciples. Asarnha Buscha also anticipates Kao Pansa, the three month period of Buddhist penitence and fasting also known as Buddhist Lent which this year starts on Friday. On Wednesday Evening at Lan Pow in Naklua a candle competition took place and the winner was the Mareewit School in Naklua. 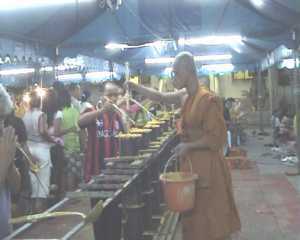 The Candles were then distributed to Temples around Pattaya. 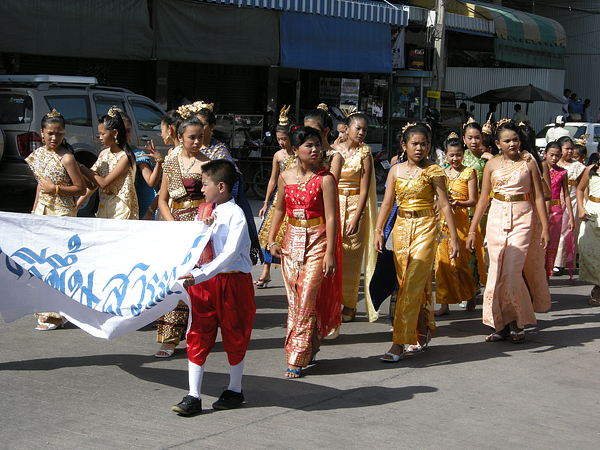 A Parade to celebrate this important day in the Buddhist Calendar also took place from Lan Pow to the Chaimongkon Temple in South Pattaya. 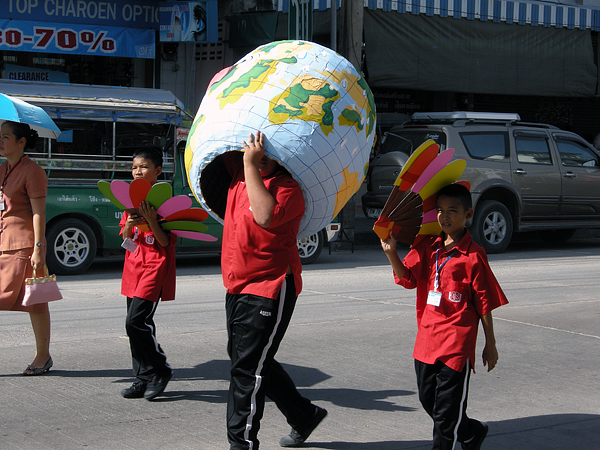 The winning float in the parade was designed by Pattaya School Number 8. We will have a full report on Asarnha Buscha on Friday. Mayor Ittipol Khunplume went along to the temples to pay their respects and honour the customs and traditions of the event. On the morning of the 17th July, Mayor Ittipol went along to represent City Hall at the Wat Krating Rai temple on Sukhumvit Road. Custom has it that candles and other essential items are given to the monks so they can carry on with their work with good lighting and provisions to see them through the period of Lent. Following tradition and custom, many devout Buddhist followers went to the temples to pray and gain merit and blessings from the monks on Asarnha Bucha Day on the 17th July. 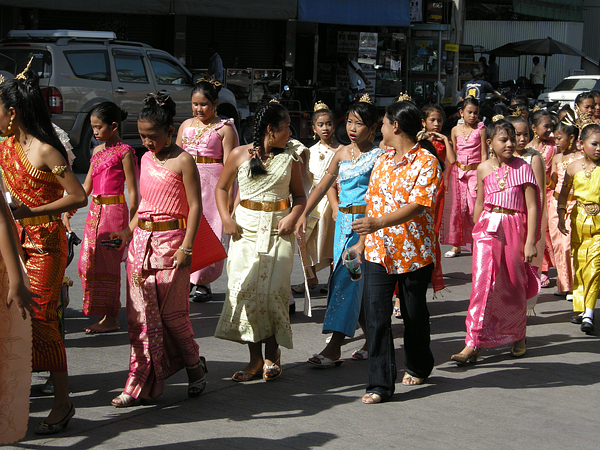 And so it was on the evening, hundreds of people of all ages went along to one of the main temples in Pattaya, Wat Chaimongkol to take part in the annual ceremony of walking around the temple three times. Candles were lit and ceremonial bells were struck to bring luck and good fortune to the faithful. 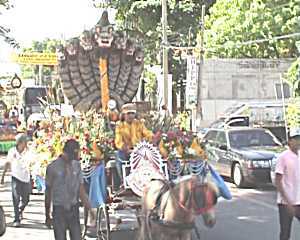 Buddhist Lent celebrations take place here in Pattaya. 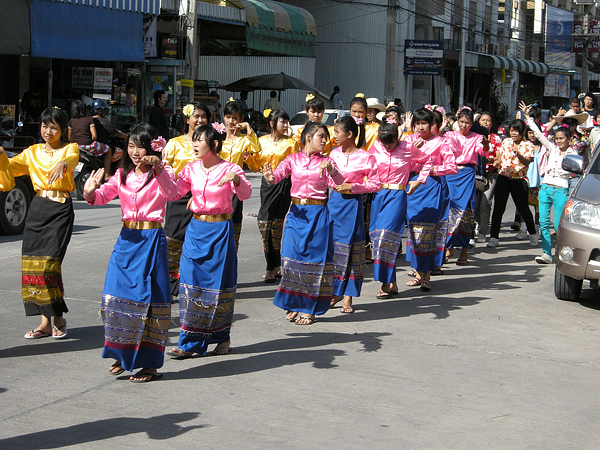 As we reported yesterday, Pattaya celebrated Asanha Buscha Day on Thursday. Asanha Buscha also anticipates Kao Pansa, the three month period of Buddhist penitence and fasting also known as Buddhist Lent which started on Friday. Buddist Lent starts on the first day of the waning moon of the eighth lunar month. 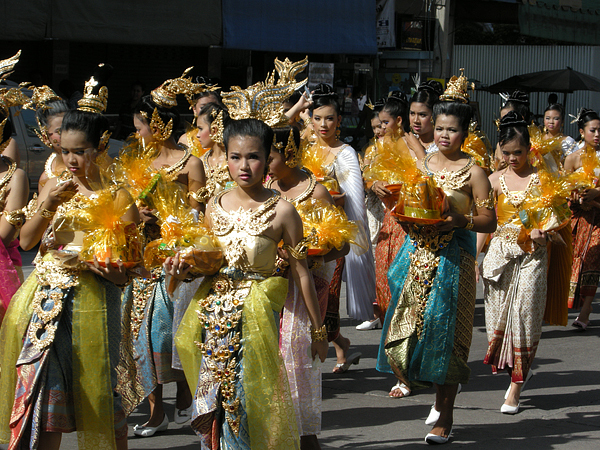 The tradition of Buddhist Lent or the annual three-month Rains Retreat known in Thai as "Phansa" dates back to the time of early Buddhism in ancient India, all holy men, mendicants and sages spent three months of the annual rainy season in permanent dwellings. They avoided unnecessary travel during the period when crops were still new for fear they might accidentally step on young plants. We went to the Chaimongkon Temple in South Pattaya for the celebration which began early in the morning with offerings made to Monks known in Thai as “Tamboon”, this was preceded on Thursday Evening with “vientienne” which requires worshippers to walk around the temple three times. Many hundreds of worshippers attended the evening event and they all made their way slowly around the main temple building in silent prayer and contemplation. 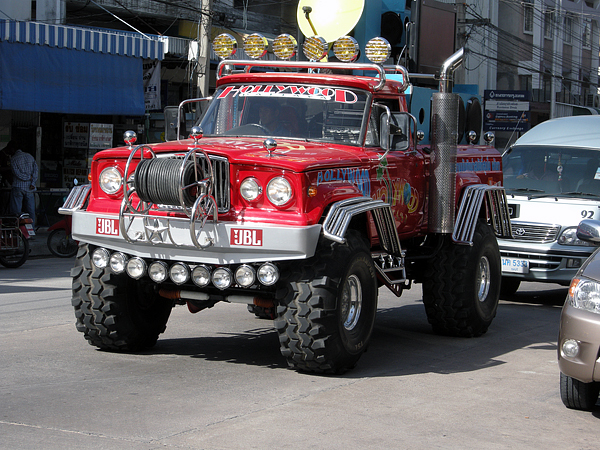 A few pictures taken when wifey was waiting for her driving instructor in Naklua. Serious cooking can't be left to women.